At SenSanna, we work closely with customers to develop customized, innovative solutions to some of the most challenging harsh environment sensing and monitoring problems. Leveraging our expertise in acoustic sensor systems and proprietary passive wireless surface acoustic wave (SAW) RFID and sensor technologies, our applications engineers will work with you to identify and develop a sensing solution to meet your needs. SAW sensors can operate from cryogenic temperatures to 1,000°C, withstand up to 20,000 psi, and are RadHard to over 10 MRad ionizing radiation. Building on this robust, solid-state sensor technology platform, we develop custom physical, chemical, and biological sensors operable in harsh environments. SenSanna Incorporated was founded in late October 2014, and merged with Applied Sensor Research & Development Corporation (ASR&D) shortly thereafter, acquiring ASR&D’s proprietary technology. ASR&D has a history of successfully developing innovative wireless SAW-based sensor system technologies for NASA, commercial and government customers. SenSanna employs a small, diverse staff of highly creative and specialized scientists and engineers, many of whom were formerly with ASR&D. With an expanded set of advisors and backers, SenSanna is poised to grow rapidly to serve the harsh environment wireless sensing needs of a range of industrial and government customers. Dr. Hines is the founder and CEO of SenSanna. A recognized leader in the field of passive wireless SAW sensor technology, Jackie has more than 25 years experience developing SAW based sensor solutions for physical, chemical, and biological applications. Dr. Hines founded ASR&D in August 2005 to commercialize the SAW sensor technology being developed under a NASA STTR contract on which she was the PI. Since that time, the firm has successfully developed a variety of wireless SAW-based sensors, RFID tags, and systems under NASA and commercial funding. The company was re-formed as SenSanna Incorporated in 2014, and has developed an industrial customer base, primarily in the energy sector. Prior to ASR&D, Jackie managed R&D for Sawtek Incorporated, the leading U.S. manufacturer of SAW devices for wireless communications applications. A qualified Engineering Duty Officer (EDO) in the U.S. Naval Reserves, Jackie left the service in 1996 as a Lieutenant Commander, choosing to focus on her family and her management role in Sawtek’s IPO. 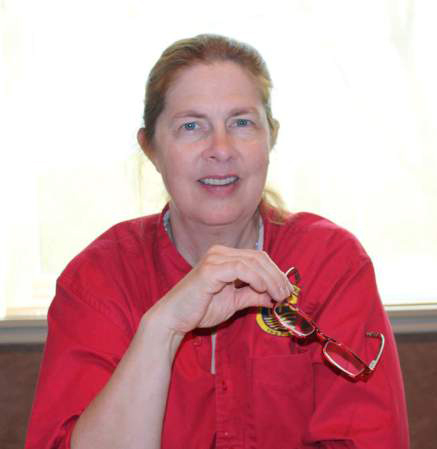 Jackie holds a BS in Applied and Engineering Physics from Cornell University, and a M.S. and Ph.D. in Electrical Engineering from UCF. Dr. Hines holds U. S. patents on SAW sensors for physical, chemical, and biological applications, and has several patents pending. A Fellow of the IEEE, Lee holds a B.S. in Electrical Engineering, and a M.S. and Ph.D. in Applied Physics, all from Stanford University. 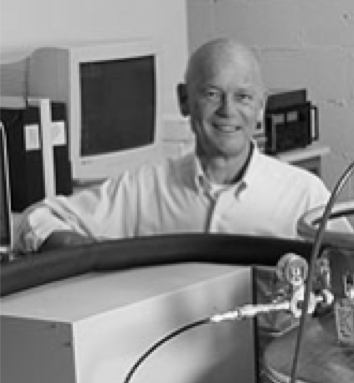 An renowned expert in surface acoustic wave technology, Dr. Solie joined ASR&D as a Senior Scientist in August 2005. Prior industrial and academic experience constitutes a distinguished research career spanning more than forty years, including work at Sawtek Inc., Electronic Decisions Inc., Sperry Research Center, the Norwegian Institute of Technology, and Stanford University. He is well known for his creative SAW-based device structures, has experience with SAW sensors for physical sensing applications, and holds over 40 U.S. Patents in technologies related to this field, with several additional patents pending. Brad brings more than 30 years of experience to leading SenSanna’s operations and administration efforts. Previously a Coast Guard helicopter pilot, aircraft maintenance officer, and program manager, Brad is credited with establishing the Coast Guard’s Innovation Initiative for introducing new technology into Coast Guard Operations. After retiring from the Coast Guard Brad played a key role in the stand-up of the Department of Homeland Security where he coordinated the development of operational plans to implement national security policies. He led the marketing and business development efforts for a growing technology company providing maritime security solutions to a global market. Brad is a licensed commercial pilot and has a Master’s of Science in Industrial Administration from Purdue University, a MBA from Webster University, and a Bachelor’s of Science from the U.S. Coast Guard Academy. Peter brings a wealth of experience in corporate structuring and venture capital. John serves as a partner and advisor to executives to develop and execute business transformations. He has led finance functions and/or acted as COO in companies ranging from $60 million to around $1 billion. John has led domestic and international finance functions for both public and private equity backed companies, and has completed numerous M&A, divestiture and partnership transactions. He is an integral contributor to the sales process and driver of strategic pricing. John has addressed complex issues around software revenue recognition, valuation, and innovative business models, as well as handling governance and regulatory issues. Randy Beardsworth brings over 30 years of strategic and operational experience, with expertise in maritime security, maritime domain awareness, border and transportation security, law enforcement, and immigration policy. In his current capacity as a Principal at Catalyst Partners, he helps clients with strategic planning and business development. Previously, Randy was a Vice President at Analytic Services Inc., a parent company to the DHS Homeland Security Institute. As an Assistant Secretary for Strategic Plans, he created a long-range vision for DHS, and oversaw counterterrorism strategic planning and the creation and initial oversight of the Program Management Office for the Secretary’s Secure Border Initiative. Prior to his service with DHS, Beardsworth served in two administrations as the Director for Defense Policy on the National Security Council staff. Before entering civilian government service, Beardsworth served in the Coast Guard, where he held command of four ships throughout his career and completed numerous tours ashore. Mr. Hines has served on the Board of Directors of the Company since its founding. He is relied upon for his financial expertise and advisory. 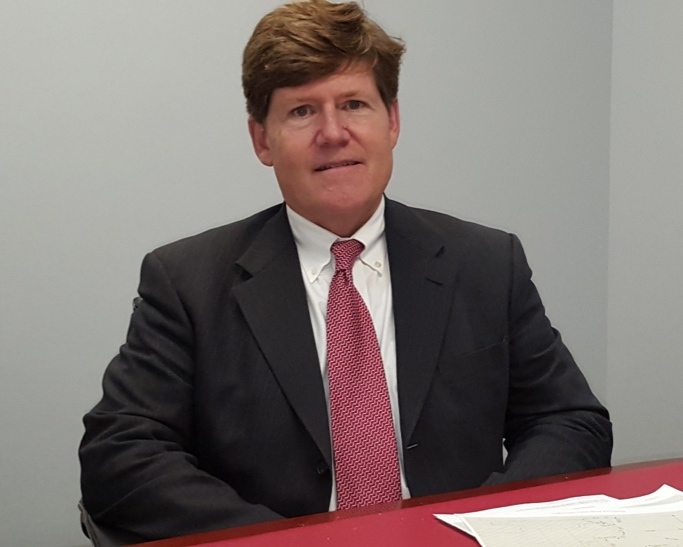 He is currently Executive Vice President of the Bank of Glen Burnie (NASDAQ GLBZ) and has served as the Chief Lending Officer since January 2014. He is responsible for all lending, credit, loan administration, and regulatory liaison for the Bank. He previously held a similar position as Chief Credit and Lending Officer for Maryland Financial Bank during the prior five years. In that capacity he was responsible for all lending, credit, and regulatory matters for that institution which provided correspondent lending and deposit services to Mid- Atlantic small financial institutions. Additionally he was the President of a consulting subsidiary of Maryland Financial Bank that performed loan review and other risk management consultative services. Prior to this position he held similar roles in an Annapolis based community Bank for several years. In the prior ten years from 1993-2003, he worked for SunTrust Bank and eventually was Director, Mid Atlantic Corporate and Investment Banking with regional fortune 500 companies as clients. Mr. Hines attended Cornell University under an NROTC scholarship, graduated in 1984, and was commissioned as an officer into the US Navy. After completion of flight school, he flew carrier based jet aircraft in a variety of assignments primarily in the Middle East. He continued in this role with a reserve squadron after leaving active duty until retiring from the inactive reserve in 2000. SenSanna is always looking for innovators with a passion for technology. As part of our mission to create the best in robust, flexible, and intelligent sensing technology we employ those with exceptional creativity, drive, and intellect. If you're interested in discussing employment opportunities with us, please get in touch with us at careers@sensanna.com. We're looking forward to improving the industry with you.